Boston & Maine @ Clinton, Ma. 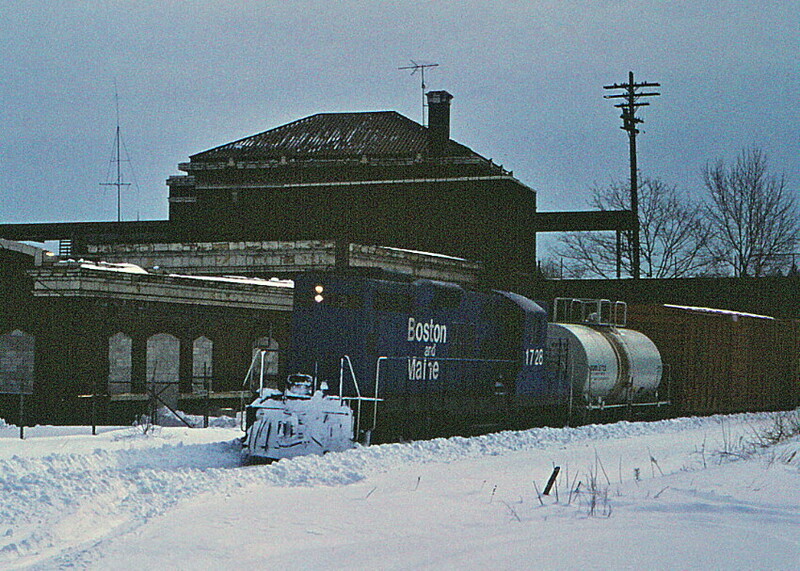 Considering the amount of snow the railroads are dealing with today I thought you might get a kick out of what the railroad was dealing with back in '83. Here we find a freight working its way up to Ayer. Photographed by Bruce Macdonald, February 14, 1983. Added to the photo archive by Bruce Macdonald, January 20, 2019.